Are you a beginner web developer or an experienced freelancer? Do you own your own web design studio or simply want to launch a startup? TemplateMonster has come up with an offer that will match the users of all backgrounds and skill levels. Just recently they have presented TM Certification Center that targets everyone who wants to learn web design and move on. TM Certification Center is an all-free project. It is made up of two big groups of courses for beginners and pros. There are no restrictions on the number of people who can enroll into each course. Everyone who is thirty for new knowledge and experiences is welcome to join. Both courses are all about the most popular content management systems, the way those are built, their functionality, and customization opportunities. Thus, both beginners and pros will be provided with explicit information about WordPress, Joomla, PrestaShop, and OpenCart. In such a way, you are given the fundamentals needed to get started with any type of online project on your own, i.e. blogs, portfolios, personal or business sites, eCommerce platforms, etc. If you are new to web design and want to learn the basics, than TM Certification Center for beginners is at your disposal. By enrolling into the course, you will learn how to install a CMS. You will see how all of them look from inside, what peculiar features they include, how to modify them, etc. TemplateMonster also provides guidelines on how to work with their ready-made themes. You are provided with explicit information regarding their installation, modification, and expansion with new features. The possibilities that TM Certification Center has prepared for pro developers are no less impressive. If you are a freelancer or represent a web design agency, then you are welcome to pass TemplateMonster’s certification. Granted that you know how to work with website templates (especially those themes that are designed and developed by TemplateMonster), then you should have no difficulties with passing a quiz. As soon as you confirm your high level of expertise of working with WordPress, Joomla, PrestaShop or OpenCart, you will get a personal certificate from TemplateMonster. Moreover, you will be added to the company’s list of partners that is available to all TemplateMonster’s clients. What benefits does the latter bring to you? It’s not necessarily that everyone who purchases a ready-made theme knows what to do with it next. This is when people start looking for the help of experienced freelancers and web design studios that can get the job done. 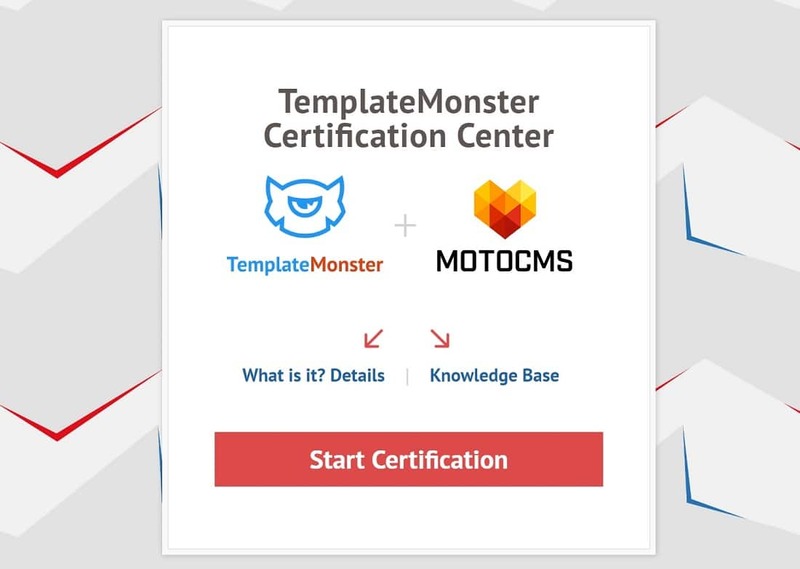 A list of TemplateMonster’s certified partners is the first place where people will refer. In that way, customers will be provided with qualified help, and certified partners will broaden their client base. Are you ready for new knowledge? Maybe you can pass the certification quiz straight away? Choose your own option with TM Certification Center.